Our range of products include asphalt batch mix plant, electric asphalt batch plant, asphalt plant, asphalt batch mix plants, asphalt batching plant and stationary asphalt plant. Following are the components of a standard Electric Asphalt Batch Plant. Following are the components of a standard asphalt batch mix plant. 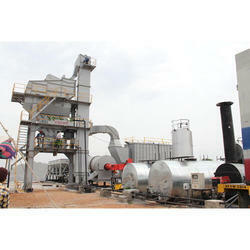 We offer Asphalt Batch Mix Plants to our clients. Our equipments are Durable, Economical, Operator Friendly, Efficient, Technologically Updated, Ease to Install and Maintain. 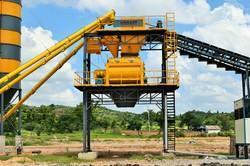 We offer Asphalt Batching Plant to our clients. Our equipments are Economical, Operator Friendly, Efficient, Technologically Updated, Ease to Install and Maintain. 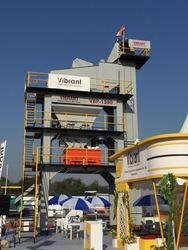 We offer Premium quality Stationary Asphalt Plants to our clients. Our equipments are Economical, Operator Friendly, Efficient, Technologically Updated, Ease to Install and Maintain. We are leading Manufacturer of all kinds of Road Construction Equipments,based in the Capital of Telangana State, Hyderabad. 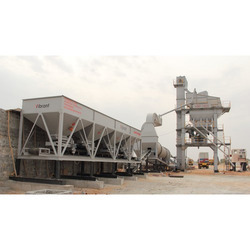 Vibrant has been the pioneer in the manufacturing of Asphalt mixing plants located in the heritage city of Hyderabad.After successful stabilization in asphalt mixing plants,Vibrant has also started manufacturing concrete batching plants.